Ms. Onu has 18 years experience as a Digital Economist with a focus on Financial Transformation and Climate Adaptation Finance. Recent project work includes Enterprise Architecture, Strategy Compliance, e-Governance, Banking Consolidation and Payments innovation for the European Commission, German Savings Bank, and Eastern Caribbean Central Bank. She is the founder of Osusulabs, backend as a service digital financial infrastructure and Founder & CEO of QGlobal (Quintessence Consulting Inc.), a boutique global strategy, venture development and financial advisory firm and a venture catalyst helping companies with Investment Facilitation, Business Model Innovation, Management and Internationalization. She has designed and led multimillion dollar investment promotion strategies that’s attracted $1.4B in investments into the country and raised over $100M in financing for her clients. She is also the co-founder & CEO of Beyond Capital Markets a global sustainable alternative investment banking and asset management and Fintech firm. With a focus on bridging the gap between alternative investments and impact innovation. Beyond Capital Markets is in the process of launching BeyondX a digital asset exchange and platform. 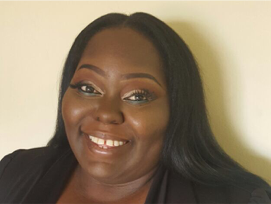 Ms. Onu is an active member of the working group on the Eastern Caribbean Currency Union (ECCU) Payment System and Financial Innovation, and Member EPFL Alumni Switzerland & Fellow Frankfurt School of Finance & Management. Ms. Onu is an active member of the working group on the Eastern Caribbean Currency Union (ECCU) Payment System and Financial Innovation, and Member EPFL Alumni Switzerland & Fellow Frankfurt School of Finance & Management. Telly Valerie Onu is a Contributor to RIA Review, a compliance and document management portal (www.riareview.com) – 120+ users and growing. She is also the Co-Author of The InsurTECH Book: The Insurance Technology Handbook for Investors, Entrepreneurs, and Fintech Visionaries published by Wley.